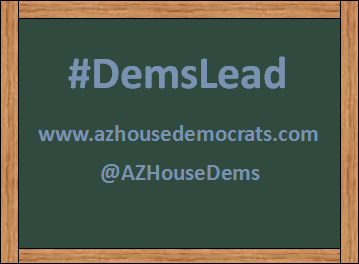 Arizona House Democrats: It’s time for next steps now! It’s time for next steps now! House Democrats have worked tirelessly toward these goals for years. With continued pressure from parents and community leaders, we can make meaningful progress in strengthening Arizona’s public schools. And we stand with coalition leaders calling on the governor and Republican legislators to make an “ironclad” commitment to take the next steps in restoring public school funding.